Dover Dental is a premier practice in the field of Aesthetic, Reconstructive & Implant Dentistry; we also offer Orafacial pain management, treating problems such as sleep apnea and snoring with oral appliances. At Dover Dental, we strive to provide our patients with the latest advancements in the field of general and cosmetic dentistry, and are committed to delivering superior service to every patient. As a family and cosmetic dental practice, we take pride in our tradition of combining art, passion, and technology to create beautiful smiles that have brought joy and have enriched the lives of our patients. Dr. Kate Sahafi has spent her professional life dedicated to giving her patients the highest level of quality dental care while focusing on both long-term health and aesthetics. Veneers/Crowns, Bridges, Natural Looking Fillings, and 1-Hour Power Teeth Whitening are only some of the procedures that Dr. Sahafi uses to create beautiful smiles that last a lifetime. Dr. Sahafi earned her Doctorate of Dentistry’s Degree at University of Lille II, France, in 1996. She earned her post graduate degree from UCLA and completed her training in Cosmetic Dentistry at the UOP in San Francisco. Dr. Sahafi has earned her clinical expertise in the field of Advanced Functional Aesthetics from the world renowned Las Vegas Institute which trains the top 1% dentists worldwide. In 2009 Dr. Sahafi attended a mini-residency program in Sleep Apnea directed by Dr. Dennis Bailey and Dr. Merill at the Craniofacial Pain department of UCLA School of Dentistry. There she learned how to diagnose and treat patients suffering from sleep apnea who are intolerant to CPAP (Please the Sleep Apnea page for more details). In her relentless effort to provide the best quality dental care to her patients, she continuously hones her skills by investing tens of hours in continuing dental educational courses. Dr. Sahafi is an active member of the American Academy Of General Dentistry. Dr. Sprague is a graduate of The University Of Southern California. 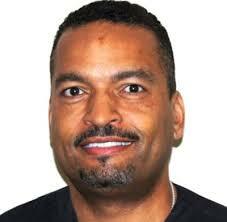 He received his Doctorate in Dental Surgery in 1993 and his Specialty Degree in Endodontics in 2004. 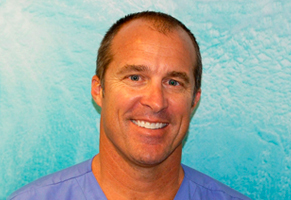 Dr. Sprague is a member of the American Dental Association and the American Association of Endodontist. Having spent 10 years as a Cosmetic Dentist in Beverly Hills , California prior to becoming a root canal specialist. Dr. Wright completed his residency at UCLA. He received his board certification in 1998 from the American Board Of Oral Maxillofacial Surgery. He was also recognized in the national registry of “Who’s Who” 1999 edition. Dr. Wright also served as Chairperson for the Oral Surgery and Dentistry Department at Hoag Presbyterian Hospital in Newport Beach, California from 2002 thru 200.Dr. Wright is a member of “Pathways to Independence” which is an organization that assists women who have been abused both physically and sexually or have been released from various drug rehab facilities. He provides necessary surgery and treatment for these women at no cost. He is the first Oral Surgeon to join “Pathways” in their quest to make a difference in the lives of these women. Janelle started as a Registered Dental Assistant (RDA) in 1989. She became a Registered Dental Hygienist (RDH) in 1995. Janelle teaches Dental Assisting (DA) program at Orange Coast College. She is married with 2 kids and has been working in Newport Beach for the last 14 years. Annette Hill has been a Registered Dental Assistant for the last 27 years. Annette is a warm and a caring person with a smile that brightens anybody’s day. She loves southern California and has lived and worked in Orange County her whole life. Once you meet Annette, her wit and personality will win you over. Annette attended the National Institute for Health Sciences for her degree in dentistry. She has also attended Orange Coast and Golden West Colleges for continuing education courses. She is passionate about her job and it shows through her excellent work. Annette has experience working with all 7 dental specialties: General, Periodontics, Pedodontic, Oral Surgery, Endodontic, Orthodontic, and Prosthodontic. My name is Diane and I am very excited and privileged to be hired in such a wonderful office. I have been in some form of customer service all my life and love interacting with people. I have always tried to be fair and to treat others the way I would want to be treated. I have already met a few of you, but for those I have not, here is a little information about me. I’m married, with two wonderful children and I have a great love for animals. My husband and I have three dogs and two cats. We volunteer at a big feline sanctuary in Acton called Shambala, which is run by The Roar Foundation. We also open up our garden once a year for The MaryLou Heard Garden Tour Foundation which benefits the Tustin Sheepfold for abused and battered women and their children. Between all of the above I enjoy spending time with family and friends. I am looking forward to meeting all of you and learning about your talents and interests in the near future.